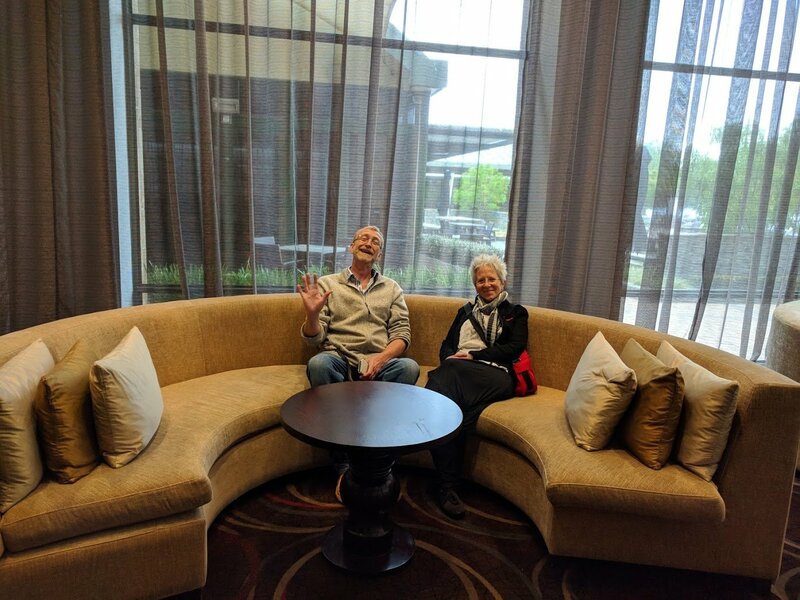 RITM OKB ZAO, RITM Australia and the SCENAR Practitioners Association are thrilled to announce the 2019 International SCENAR Conference! RITM Australia have made this International SCENAR conference available for EVERYONE and EVERYONE will benefit from the knowledge and skills taught from the most experienced SCENAR practitioners in the world. You will have access to all four days with a variety of speakers and we have the esteemed Dr Boris Kulizhskiy flying in from Russia. This is a not to be missed, new information, learning the Dose 5 Protocol and applications and a chance to mix and converse with other practitioners from all over the world. Payments in full before the 31th December 2018 receive an early bird discount. Otherwise make a non-refundable deposit of $ 500 by 31th December 2018, to reserve your place – numbers are very limited. There is a day for you too. 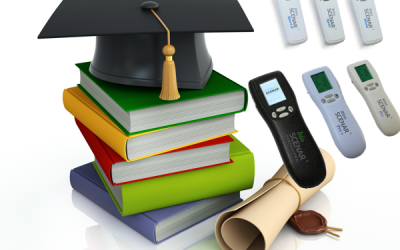 Dr Peta Zafir will be presenting a full day training, recapping the unique aspects on the Home Device and adding more learning: such as how and where to place your device, with and without pads, changes in frequency and how to use your device for a variety of protocol and procedures. The day will start with sign in at 8.45am and finish at 2pm. There will be 1 hr at the completion of the day for you to ask questions relating to personal conditions and situations. 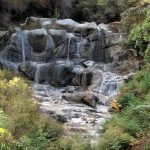 This full day learning includes all handouts, morning tea, Lunch and afternoon tea and costs only $ 150 for the day. Full non-refundable payment needs to be received before the 30th December 2018 to retain your place, numbers are very limited – NOT TO BE MISSED. 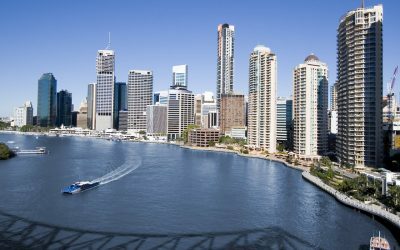 Perfectly situated next to the City Botanic Gardens and Brisbane River, in the heart of the CBD, Royal on the Park Hotel Brisbane is only a short walk to the Queen Street Mall in the City centre. Buffet breakfast in our Walnut Restaurant, Walnut Lounge Bar and library is the spot to unwind with colleagues or catch up with friends. The 4.5-star Royal on the Park Hotel is an elegant yet traditional hotel that offers a range of premium accommodation, conference facilities and restaurant dining. 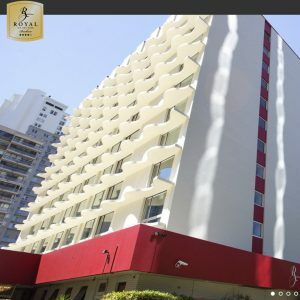 All rooms at Royal on the Park Brisbane feature complimentary unlimited high-speed Wi-Fi and modern amenities including a minibar, hairdryer, iron, ironing board, high definition LCD TV, espresso coffee machine, ergonomic workspace and a digital safe plus natural light. Deluxe accommodation rooms and a range of luxury suites starting at $ 168. 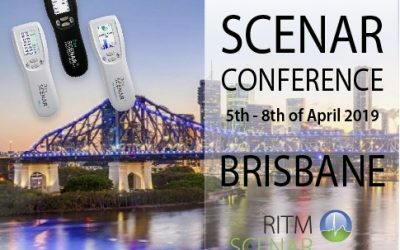 Do not miss this unique opportunity to discover clinical methods that can take your practice to the next level, learn from SCENAR experts and the inventors of the SCENAR technology, meet with colleagues all around the world and enjoy Brisbane! Conference updates will be published soon. 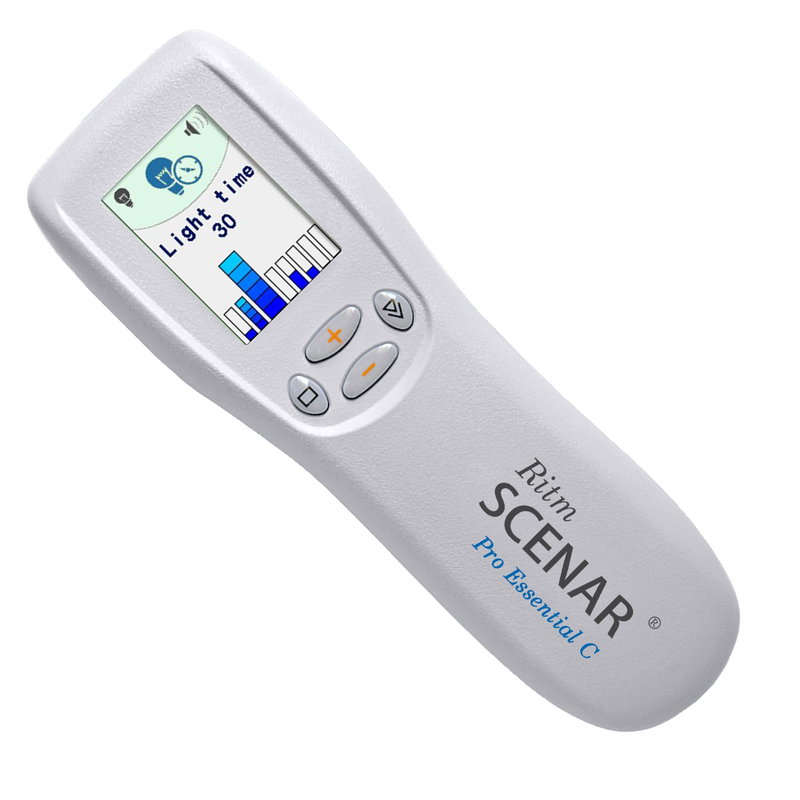 We are happy to inform you that the new 2018 RITM SCENAR® devices are now available in stock. 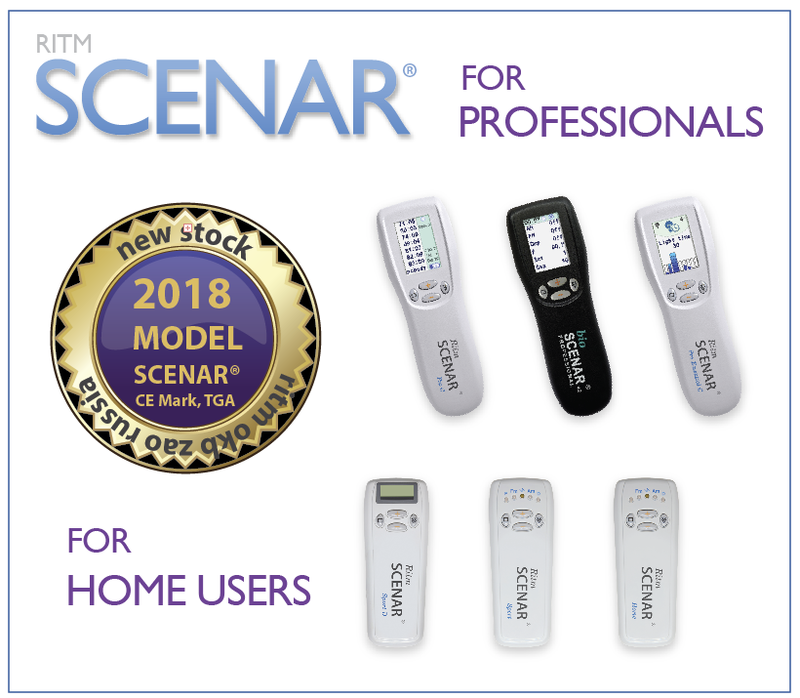 All 2018 Professional and Personal SCENAR® models incorporate new features and modes, making the SCENAR® treatment easier, quicker and more effective. RITM OKB ZAO have proven once again to be the leader in manufacturing SCENAR devices and the only Company in the world capable of innovation and development of the SCENAR® technology. 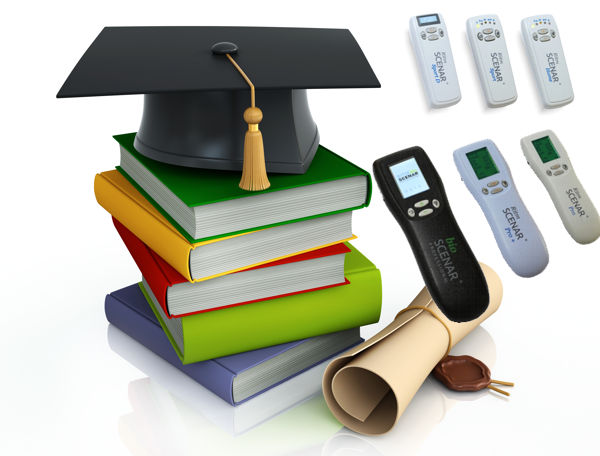 While still in preparation of the Australian User’s manuals and Training materials, and waiting for the next firmware release, we are pleased to offer generous discounts and products packages. Dose Mode 2 (Labile) – In this mode the SCENAR continually measures and compares the reaction of the skin while the operator is moving the device and indicates where are the most optimal treatment areas. * The new firmware for the Professional devices will be available sometimes in November/December and it will include additional features. 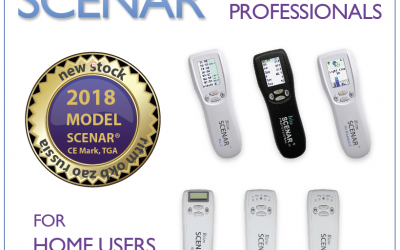 The upgrade of the sold devices will be done during the 2019 SCENAR® Conference in March/April. The training materials will be available sometimes in November/December 2018. * The new SCENAR® Home and SCENAR® Sport will be available in stock late October 2018. All other new devices are in stock. 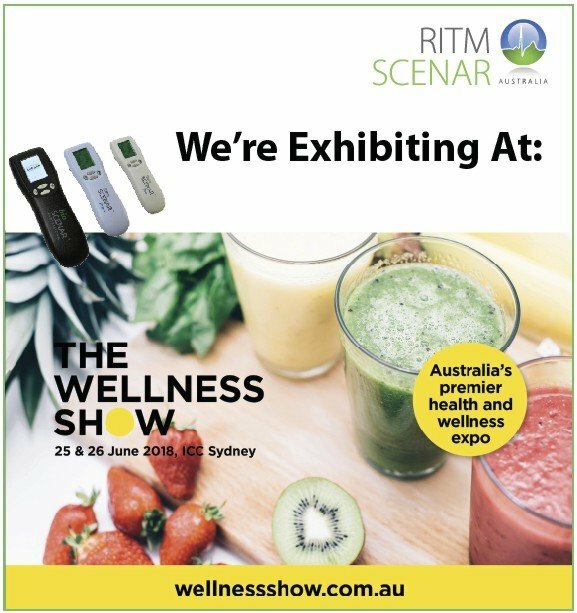 RITM Australia attended the recent Wellness Expo in Darling Harbour, Sydney. The expo was focused on holistic approaches to staying healthy and keeping fit at home and at work. 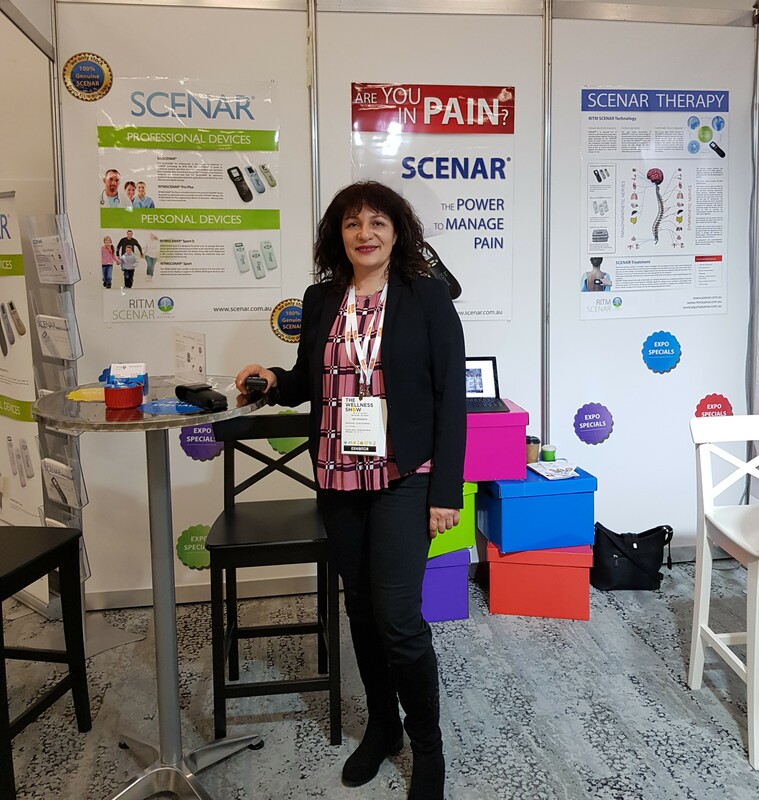 During the event RITM’s team demonstrated the SCENAR technology – non-invasive, quick and effective pain relief electrotherapy. 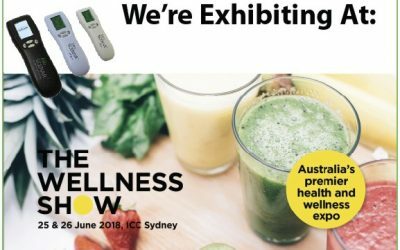 We have been approached by over 30 visitors, looking for holistic and natural modality for mental and physical health. 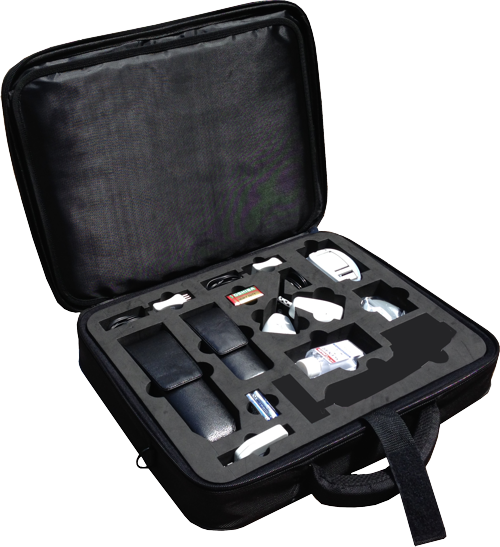 Our team has provided demo treatments to over 15 people with various pain conditions and, all of them has experienced pain relief regardless of the pain level. The quickest treatment took one and a half minute with pain reduction of 4 (VAS from 7 to 3). Our booth was so busy that we didn’t have time to make may photos. We are really pleased with the show as this gave us the opportunity to show and provide more information about the brilliant SCENAR technology. 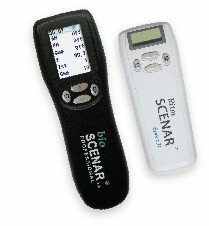 We would like to invite you to a two hour workshop where experienced Practitioners will explain and demonstrate the benefits of SCENAR devices for quick and sustainable Pain Relief. Every participant will be able to experience SCENAR Therapy and demo devices will be provided for self treatment during the workshop. We are pleased to report our successful participation in the Equitana New Zealand Educational Hub. One of our SCENAR Practitioners and Trainers – Vera Payne has presented SCENAR technology to Equine Practitioners, Riders, Trainers and Home Users. 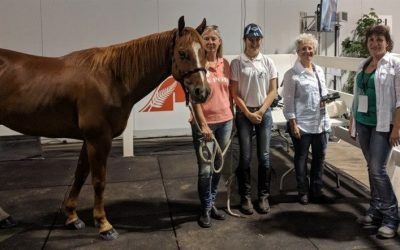 She has explained and demonstrated how good is SCENAR for treating any health issues in horses during the seminar and rubber arena presentations. 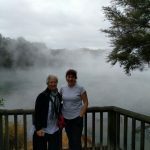 Sharon Klijn and Jannette Klijn – Equine SCENAR Practitioners from the North Island, helped us organising the event. 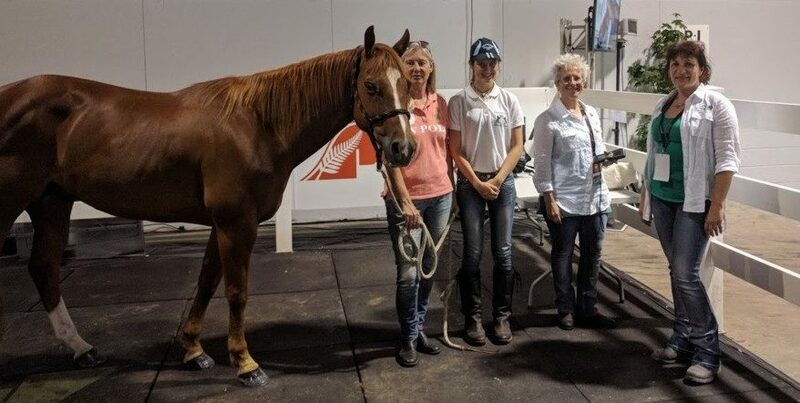 Sharon shared her own experience with SCENAR during the seminar presentation and give demonstrations of different treatment protocols used with horses. We would like to thank them for their help and assistance. 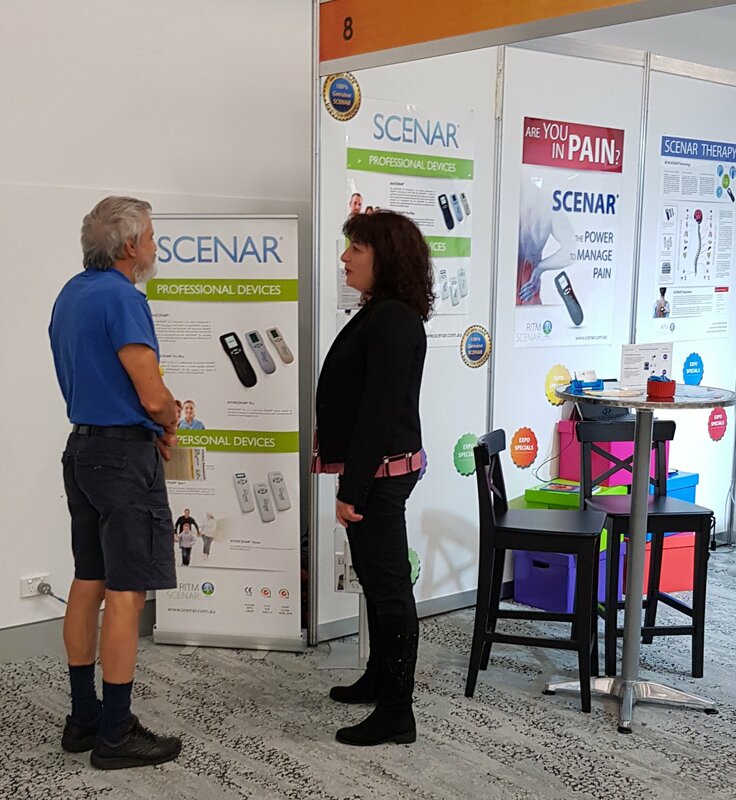 We have had lots of interest and enquirers after the presentations and we were able to give many demo treatments to Equitana visitors – all with back and shoulder pains. 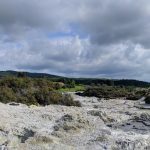 After Equitana we had the opportunity to visit the beautiful Maori town Rotorua to check venues for our next International SCENAR Conference in 2019. We met with Dr. Jorg Prinz who is our Trainer for SCENAR in New Zealand. The dates are still not finalised, but we are thinking of May 2019. By February, March next year we will be able to advertise the dates and confirm the venue. So start saving and planning for the Conference now. Not to missed event in the SCENAR world. We are pleased to advise that we have updated our online training courses with more videos and information from the different sources – 2015 and 2017 SCENAR International Conferences, webinars, etc. 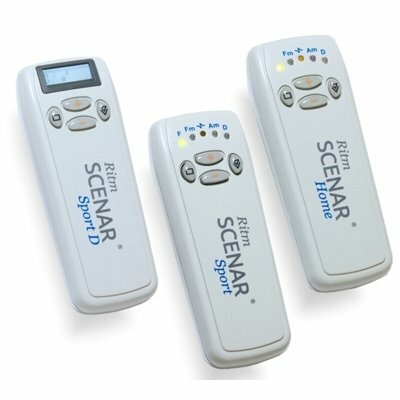 Log in to www.ritmscenar.com.au to enhance your knowledge about SCENAR. If your subscription has expired you can renew it for $200 and all your online courses you have been previously subscribed will be re-activated for one year. For Members of the SCENAR Practitioners Association the renewal subscription is FREE. For Associate Members of the SCENAR Practitioners Association the renewal subscription is $70 per year. How to get the most out of your personal device. RITM Australia is participating in the Equitana New Zealand Educational Program. Please come and see us on Saturday and Sunday to learn more about how SCENAR can help your horses. 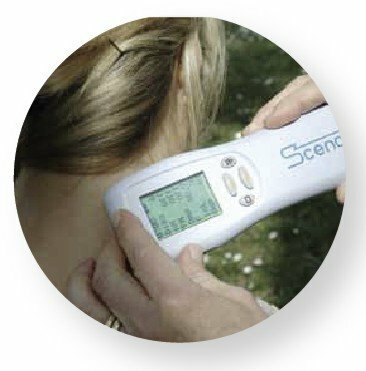 Fast and Effective Professional Equine SCENAR Pain Relief Therapy – In this presentation we demonstrate how quickly SCENAR technology addresses issues of pain and dysfunction in the horse. 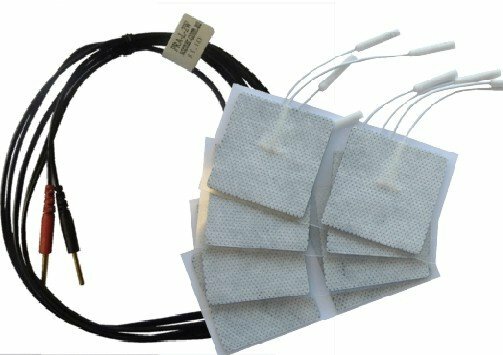 We discuss how an Equine SCENAR Practitioner treats with this technology, what and how this technology is able to quickly restore function and relieve pain in not only the horse but the rider/owner/trainer. 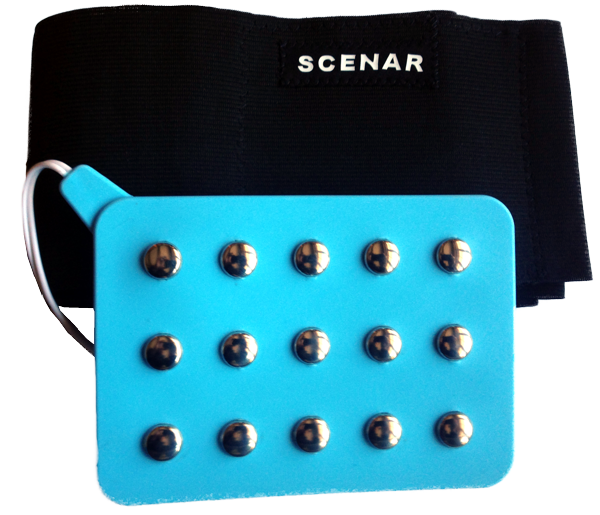 Fast and Effective SCENAR Pain Therapy for the home user and their horse using the personal SCENAR device. 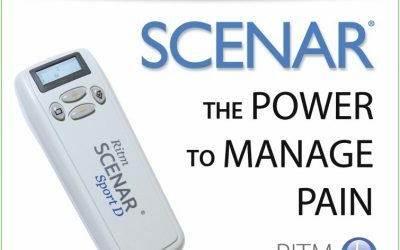 In this presentation we demonstrate how quickly SCENAR technology addresses issues of pain in the horse using the SCENAR personal device. 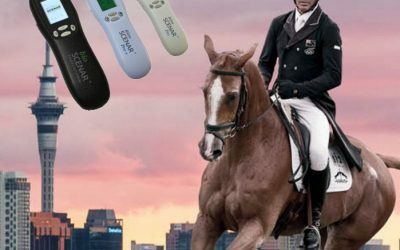 We discuss what and how this technology is able to quickly restore function and relieve pain and restore function in not only the horse but the rider/owner/trainer as well. We are glad to announce the next of the series of SCENAR Professional Workshops that we run this year. 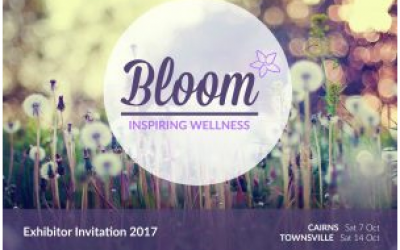 Janet Knight will be demonstrating SCENAR therapy during the Bloom Expo in Townsville, QLD. The Bloom Expo will be held on 14th of October 2017 . 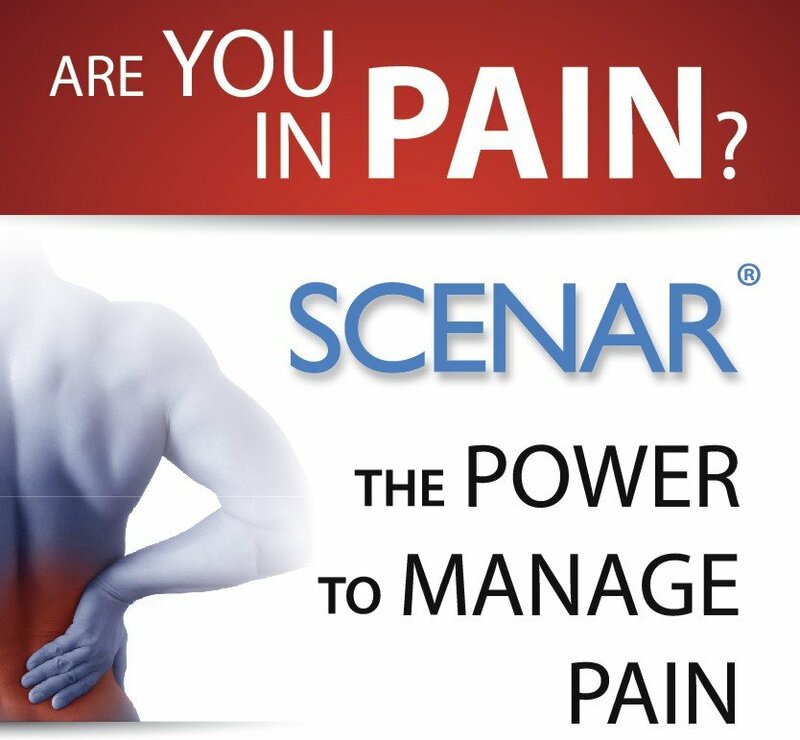 Visit us if you like to know more about Pain Relief with SCENAR or have a demo treatment. Product specials will be available as well. 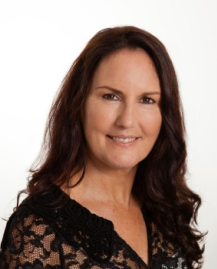 Janet Knight will be demonstrating SCENAR therapy during the Bloom Expo in Cairns, QLD. The Bloom Expo will be held on 7th of October 2017 .